William Shakespeare died on 23rd April 1616. As the celebrations for his quarter-centenary reach their peak this month, there can be little doubt of his status as our ‘national poet’ or his central place in English cultural life. While his exact date of birth is unknown, it is usually given as 23rd April – St. George’s day – so we commemorate England’s patron saint and Shakespeare’s birth and death on the same day each year. This centenary continues a long tradition of celebrating Shakespeare’s life and work down the ages. 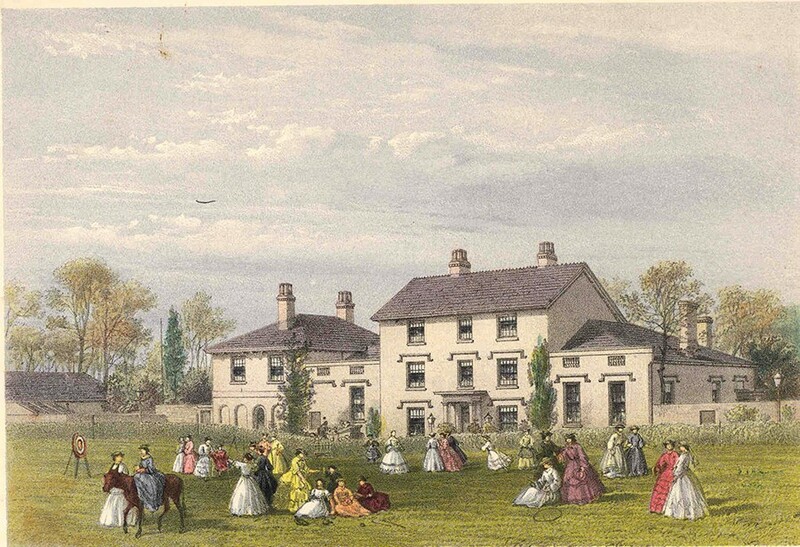 The image shown here is taken from one of Wilfred Ashley’s photo albums in the Broadlands archives and dates to around 1863. A precursor of the tourist postcards we buy today, this was a collectible item at the time and shows a popular image of the Bard and a copy of his signature underneath. Its presence in the album may be explained by the fact that 1864 was the tercentenary of Shakespeare’s birth – perhaps Wilfred attended one of the rival events which took place in Stratford and London that year. By this date, cheaper editions and penny issues were making Shakespeare more accessible, even to the working classes, although most people came to know Shakespeare by seeing his plays performed on the stage. 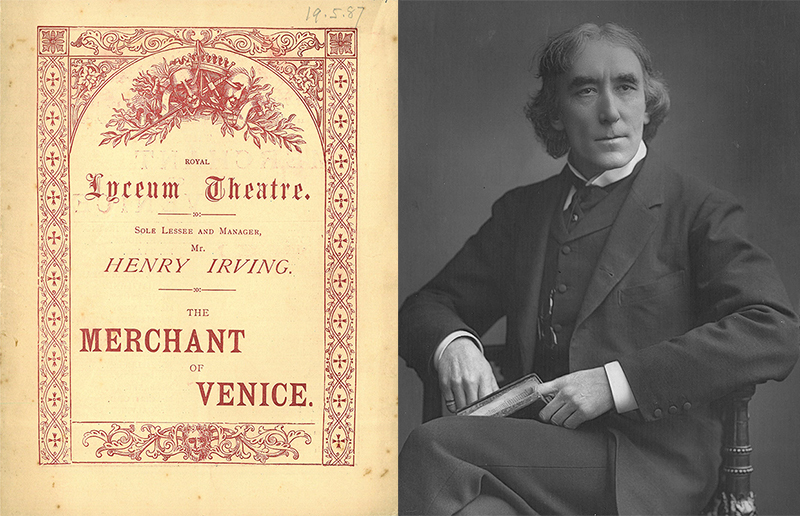 The following items form part of MS 98, the W.Gillam theatre collection, which includes theatre and opera programmes and related papers for the period 1887-1949. 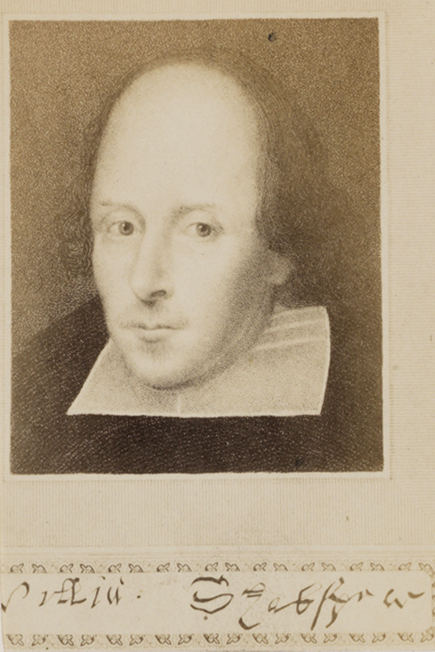 The archive demonstrates Shakespeare’s enduring popularity in this period. 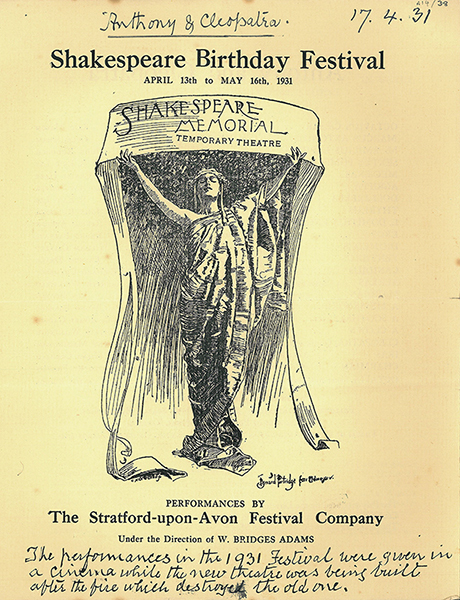 This programme was printed for a performance of Anthony and Cleopatra at the Shakespeare Birthday Festival at Stratford upon Avon in April 1931. A handwritten note on the cover states: “The performances in the 1931 festival were given in a cinema while the new theatre was being built after the fire which destroyed the old one.” The festival that year promoted the international movement to rebuild and endow the Shakespeare Memorial Theatre. As we mark 400 years since Shakespeare’s death it is clear that his plays still resonate with the present. This year’s Ian and Mildred Karten Memorial Lecture has a Shakespearian theme: “Imagining the Jewish Past: writing The Wolf in the Water, a play about Jessica, Shylock’s daughter?”, given by Naomi Alderman, takes place on 10 May 2016. On 21 April this year the Queen reaches her 90th birthday. To mark this royal occasion a range of events have been organised during April, May and June. Among those for 20-22 April will be the unveiling of the Queen’s Walkway—a 4-mile route in Windsor that commemorates her achievement as Britain’s longest reigning monarch—and the lighting of a chain of 1,000 beacons both across the UK and worldwide. 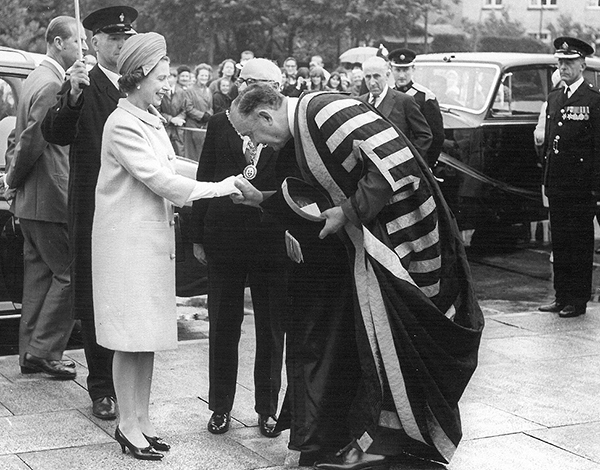 The University of Southampton was the first higher education institution to be granted university status in the reign of Elizabeth II and the Queen succeeded Lord Mountbatten as Visitor to the newly created university. 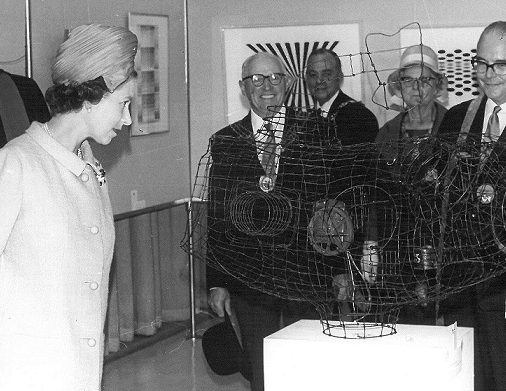 It was not until 1966, however, that the Queen and the Duke of Edinburgh made a formal visit to the University. The visit on the afternoon of 15 July started with a look around an exhibition of kinetic art. This was followed by a brief tour of the Nuffield Theatre to explore the new auditorium space. The party then crossed to the senior common room. From here there was an opportunity to view some of the new university buildings that had just been completed. The royal party also met members of staff and were shown an exhibition of the work of the Departments of Aeronautics and Astronautics, the Institute of Sound and Vibration, Oceanography and Civil Engineering and Electronics. 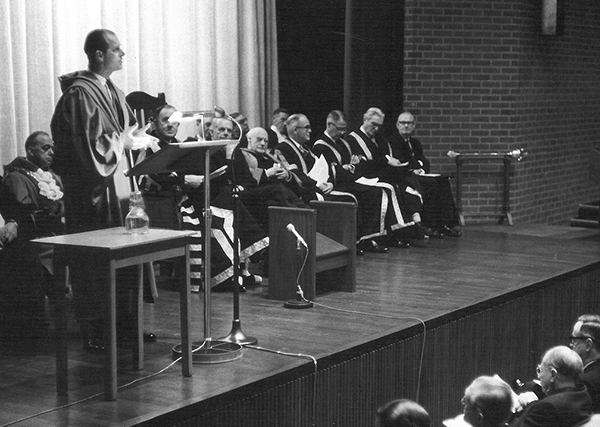 The following year, in November 1967, the University again played host to royalty when the Duke of Edinburgh gave the Fourteenth Fawley Lecture. The lecture focused on the evolution of human organisations: a printed copy of this lecture can be found in the University Collection in Open Access Special Collections in the Hartley Library. In this week’s blog post archivist John Rooney takes a look into the world of Jewish friendly societies. I have recently spent time arranging and cataloguing the collection MS 422 Papers of Jewish friendly societies. Material in the collection was original compiled by Raymond Kalman while conducting research on the history of friendly societies. Kalman was born in Paris and raised in Spitalfields. He was a member of Council of Jewish Historical Society of England and a member of the Friendly Societies Research Group and wrote extensively on Anglo-Jewish and East End social history. Jewish friendly societies played a particularly important role in Anglo-Jewish life during the late 19th century and through much of the 20th century. Their object was primarily one of mutual benefit. In return for weekly contributions, members would receive support during illness or in the case of their death. In the latter instance, societies would contribute to the costs of funeral and tombstone expenses and, in some cases, provide payments to the family of the deceased. In his writings on the subject, Kalman emphasises the constant concern within the Jewish community of ensuring a decent burial, with friendly societies provided one of the cheapest methods of doing so. The importance of the societies in this regard can be seen on tombstones bearing inscriptions of their names, a condition stipulated in the rules of many of the societies. Friendly societies acted as miniature social security systems which were entirely private and voluntary. As such, they helped preserve their member’s personal independence and keep them away from other forms of charitable or state support. However, unlike other kinds of insurance organisations, many friendly societies also served a social function by holding regular meetings and social events for their members. In this regard, they provided a unique opportunity for members to meet with a close circle of friends outside of synagogue services and were a particularly useful way for newly arrived immigrants to engage with other members of the local Jewish community. A number of friendly societies took the form of ‘Orders’, establishing associated lodges with membership ceremonies and rituals. 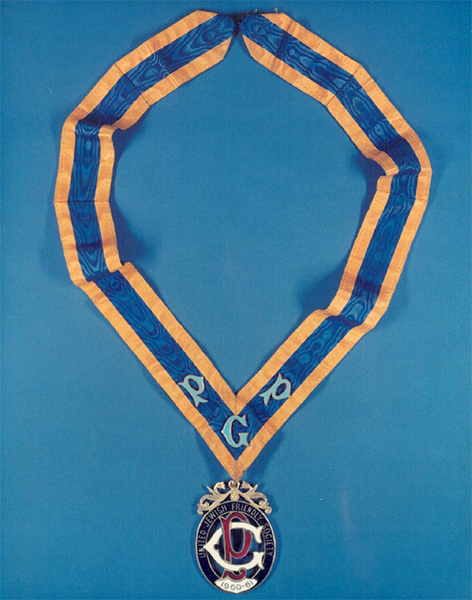 These included the use of secret password and special titles, together with the wearing of regalia (such as the collar below) by the president and other senior members of the society. 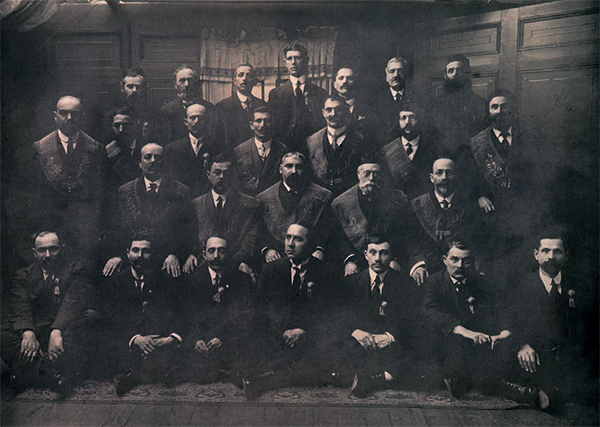 Other societies, the Order of Ancient Maccabeans being a notable example, were political affiliated with organisations such as the Jewish National Movement and the English Zionist Federation. However, it was generally the cultural activities and social amenities (alongside the provision of mutual insurance) that attracted members. The role of friendly societies was dramatically diminished with the development of the welfare state in the late 1940s. While some continued as insurance companies, others remained as local social groups with the insurance element no longer playing a key role. Over the years the number of active societies has significantly decreased from the 98 recorded in the 1900-1 edition of the Jewish Year Book. The collection MS 422 contains the papers relating to a range of friendly societies, including the United Jewish Friendly Society, Manasseh Ben Israel Friendly Society, Hebrew Order of David, Grand Order of Israel and Shield of David Friendly Society, Grand Order Sons of Jacob, and the Association of Jewish Friendly Societies. Given the manner in which the material was collected it is quite an eclectic mix with certain societies (Hebrew Order of David, Grand Order Sons of Jacob, and the Association of Jewish Friendly Societies) being better represented than others. Key material relating to the organisation and running of the societies includes rule books, annual reports, minute books and financial records, with material reflecting their social function including notices, programmes and tickets relating to installations and social events, together with monthly bulletins and newsletters. 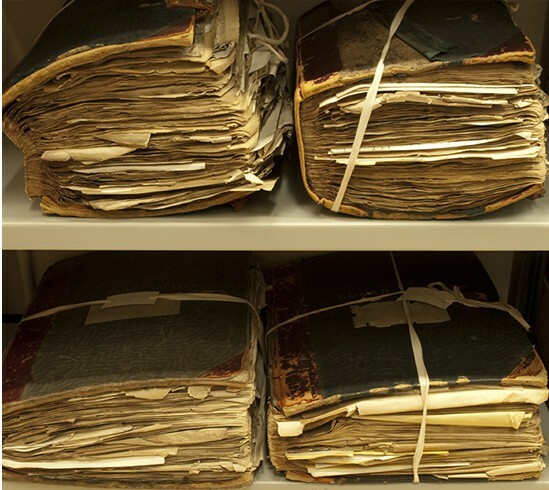 Records of members include application forms and index books for the Burial Society of the Association of Jewish Friendly Societies and member nomination and death claim books for the Grand Order Sons of Jacob. Other material includes booklets and photographs, both of members and of tombstones inscribed with the names of various societies. The collection also contains material relating to Kalman’s research, including a small selection of his research notes and papers, press cuttings, correspondence, and articles, along with copies of statistical data and lists of charities, societies and orders. 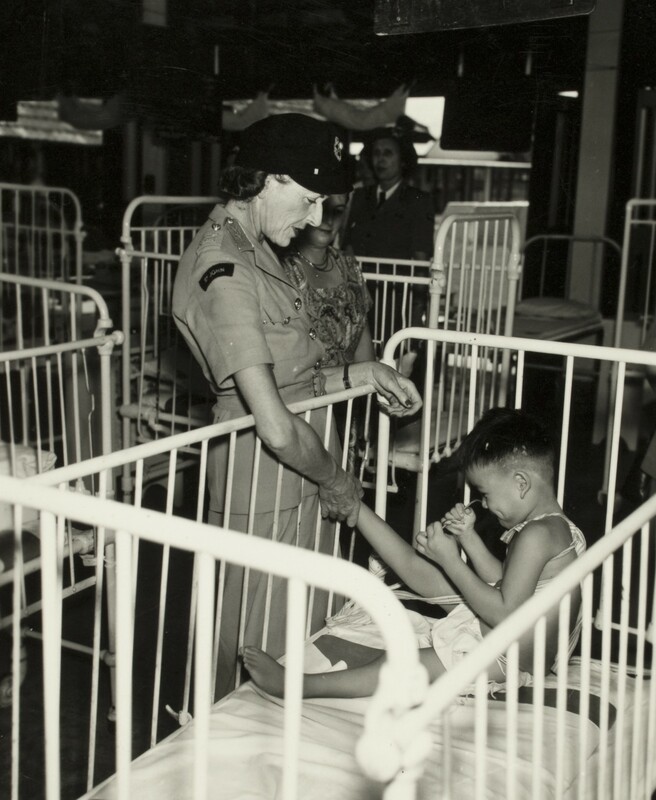 Special Collection holds a number of collections relating to Jewish friendly societies. These include a ‘History of the United Jewish Friendly Society’ by Harry Hyams, 1960, which traces the activities of the society from 1888 (MS 116/25); papers of the United Jewish Friendly Society (MS 180); papers of Jewish benevolent societies (MS 193); and papers of Jewish friendly societies and cultural organisations (MS 214).